daycare preschool and classroom cubbies & shelves, supplies, furniture, equipment, services, information, resources and more! 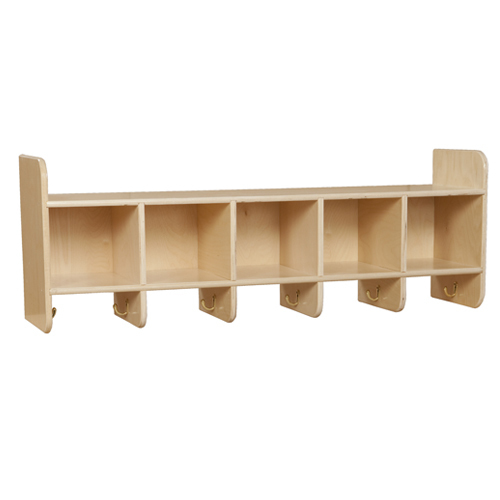 Ten cubbie spaces and coat hooks. Each cubbie holes is 8 3/4"W x 14"D x 5 3/4"H. Each Tray is 8 5/8W x 13 1/2D x 5 1/4H. Unit dimensions: 48"W x 15 1/2D" x 20"H. Item#jc0771, with color specified & tray colors specified. 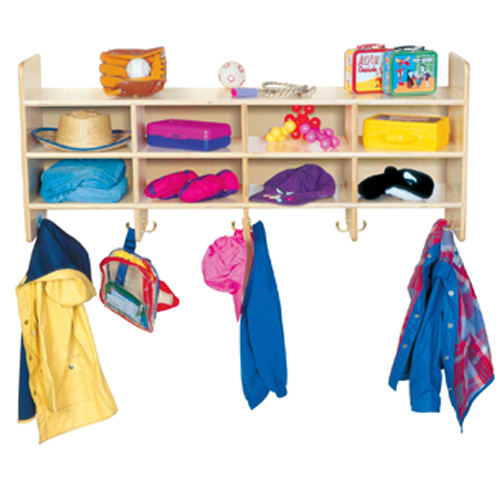 Ten cubbie spaces and coat hooks. Each cubbie holes is 8 3/4"W x 14"D x 5 3/4"H. Unit dimensions: 48"W x 15 1/2D" x 20"H. Item#jc0770, with color specified.